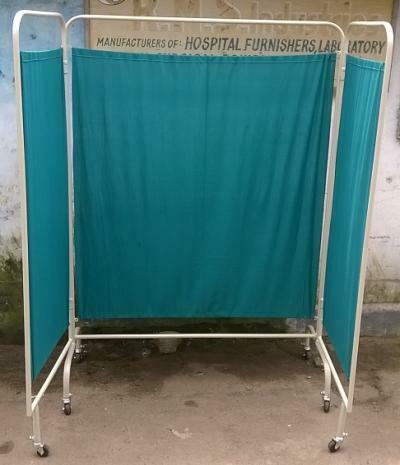 Three fold screen with curtain.Supplied with curtain Powder coated finish.Made of stainless steel also. Overallsize: 228 w x 174 h cm. Castors dia 5cm.